How do you earn enough to keep your online publication going? How do you ensure a giveaway excites the intended audience? The two sides find each other. Simply enough, right? Wrong! And no prize for anyone. So the sad story of running a contest often was told with the old, slow way of doing business. But now there is better way: Sponsored Giveaways. Sponsored Giveaways is an online marketplace for contests and giveaways that connects advertisers, publishers, and the audience. Making it easier for everyone to participate, SponsoredGiveaways.com streamlines and automates the process of giveaways. So you’d like to build buzz for your company by running a promotion? Where will you place it for maximum effect? How much will it cost you? Will anyone notice? Sponsored Giveaways looks to eliminate these questions and more. Advertisers will find a registry of available blogs and websites to host their giveaway onsite. A handy, travel-like search (think Kayak for blogs) allows them to find appropriate blogs based on factors such as theme, the potential influence of each site, page rank, pricing and more. After selecting the right host(s), sponsors input giveaway / contest information. They choose how participants will enter a campaign, for example – becoming a fan of a Facebook fan page, tweeting a message on Twitter, or simply providing an email address. Sponsors then add giveaway details, upload prizes, and seal the deal by way of standard online purchase. Once publishers accept a giveaway order, they write a few lines and insert a widget code into a post. That’s the extent of their effort required. Sponsored Giveaways automation takes care of processing entries, selecting and awarding winners, distributing prizes, and sending detailed reports to the sponsors. Sponsors. Publishers. Participants. Everybody wins! Well, maybe not every participant, but each respective party anyway. By using Sponsored Giveaways, advertisers may quickly reach their target audience. They have the opportunity to build buzz and branding, as well as grow social media presence. Furthermore, the registry of bloggers allows sponsors to grow their network and expand the reach of giveaways. Most publishers would rather be writing and publishing than scrounging up revenue. Joining the Sponsored Giveaways marketplace offers an effortless way to make contacts. Hosting giveaways can increase social media presence and visitor traffic. And money to stay in business, hello! What’s more, Sponsored Giveaways gives publishers the opportunity to reward loyal readers with prizes catered to their interests. Of course, participants win prizes and gifts. 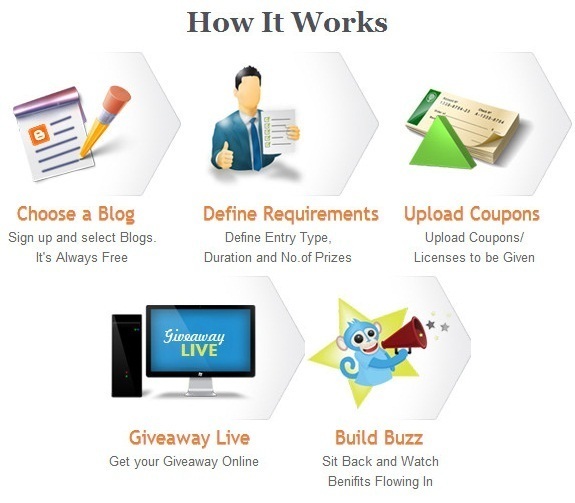 Already, Sponsored Giveaways has enlisted more than 140 bloggers, 15 sponsor clients, and made over 20 giveaways live. 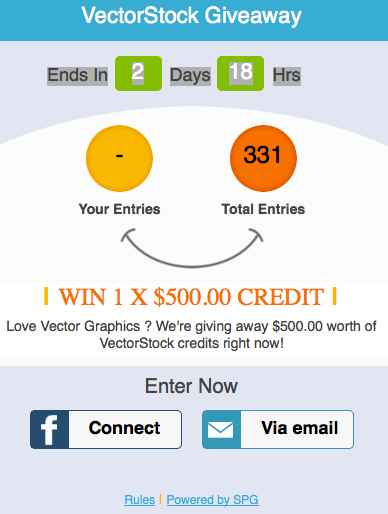 One such current giveaway is $500 credit from VectorStock, featured on design sites and designed-themed blogs such as design you trust and Webdesigner Depot. For a chance to become a lucky winner chosen at random, contestants enter the giveaway by Facebook or email. Hey, you have until March 28th to sign up for a chance to win free vectors! Startup founder, Laxman Papineni has a diverse work history in information technology and services, including blogging, investing, and engineering. Having experienced the pain of hosting giveaways and trying to engage target audiences on both the sponsor’s and blogger’s end, he created his startup Sponsored Giveaways to make life easier for everyone. For more information, visit SponsoredGiveaways.com.